Straight from the experts at TracRac, the TracONE™ is a one-size-fits-all truck rack that accommodates ladders, kayaks, or other long items that just won’t fit in your truck bed. It goes on easy and quick (less than an hour using TracRac’s no-drill, single-axis clamp system), and is constructed from rust-proof aluminum with dual-stage powdercoating for extra protection. The 27000-01 includes front and rear aluminum racks, eight single-axis clamps, four adjustable crossbar loop tie-downs, and installation instructions. Though lightweight at only 50 lb., the TracONE can hold up to 800 lb. It fits most trucks and can be easily removed when needed. Dual-stage powdercoat resists wear and matches the finish quality of your truck. Damage-free installation via included single-axis clamps. 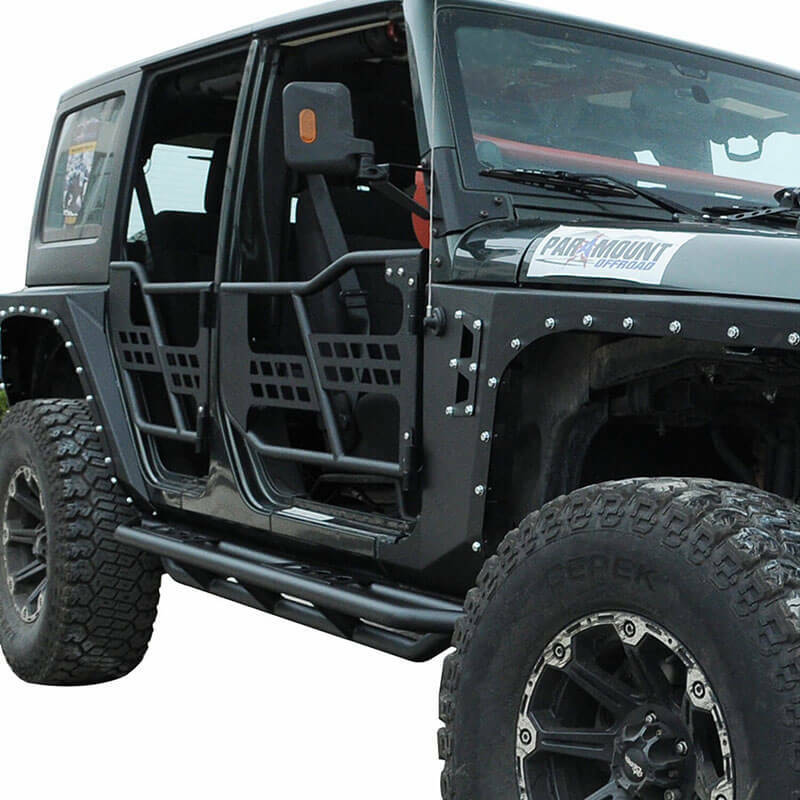 Built to spec for 2007–2016 four-door Jeep Wranglers, Tubular Safari Doors without Mirrors from Paramount Automotive offer exterior protection and visibility for those who like to cruise with the top down. Designed to squeeze even more open-air adventure from your JK, 51-0376 includes an adjustable striking mechanism for latch security when closed. The doors easily accept OEM hinges with no modifications required! Made from durable 1/8” steel sheet and 1.25” x 0.08” steel tubing. Mounts to factory door hinges. Whether you’re a contractor, sportsman, or simply looking for a great way to organize your pickup truck, the DU-HA hybrid Storage Unit / Gun Case is for you! This product allows you to store your guns, ammunition, hunting and fishing gear, tackle, GPS, binoculars, power tools, rain gear, tow ropes, tie-down straps, first aid kit, bungee straps, jack, hats, boots, gloves, jackets, chains, jumper cables, spare batteries, and more safely and securely under or behind the back seat of your full-size truck. 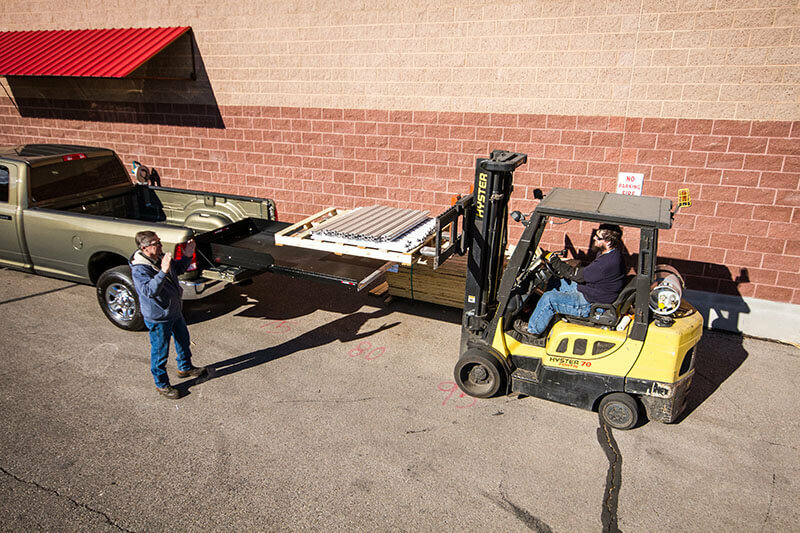 Designed for work, play, and life in general, the CG1000LX Sliding Truck Bed Tray from CargoGlide provides total access to your cargo—without breaking your back or forcing you to jump in and out of the bed. 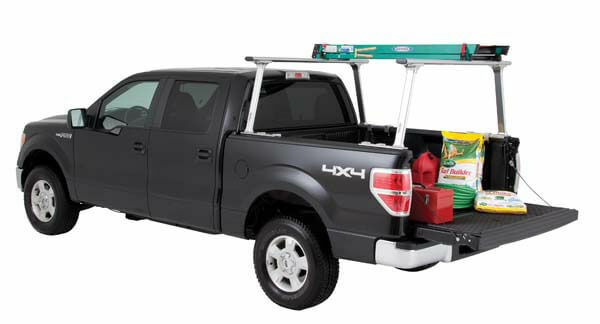 With models available for all major truck brands—including Chevy/GMC, Dodge, Ford, Nissan, and Toyota—the CG1000XL boasts a real plywood deck with a TPO-laminated surface for added strength and durability; a sturdy steel frame; and 4” high, powder-coated extruded aluminum side rails with integrated full perimeter tie-down tracks and adjustable eyebolt tie-downs. CargoGlide ships the CG1000XL preassembled and rated with a 1,000-lb. capacity. Includes 8” high-side extensions on the first four feet of the rails at the cab end to help you contain even more cargo. Custom sizes available! 1,000-lb. capacity and 100% extension. Steel frame, aluminum side rails, and laminated rubber plywood deck. 20 industrial cam follower needle and ball bearings. Full perimeter tie-down tracks and 4 infinitely adjustable eyebolt tie-downs. Includes 8” high-side extensions for enhanced cargo containment. Come inside the Total Truck garage as we take you through the installation of some of today’s hottest truck accessories. 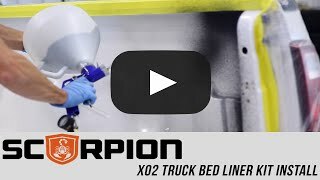 In this episode, we welcome Dana Mitchell from Scorpion Truck Bed Liners to install a X02 Truck Bed Liner Kit on a 2015 Ram 1500. 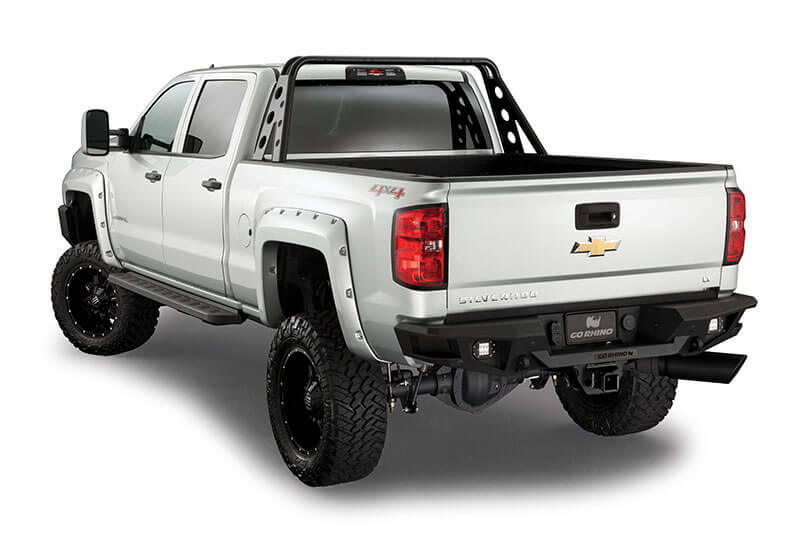 Brand new from Go Rhino, the 28171T is the ultimate bumper replacement for 2014–2016 Chevy Silverado 1500s. Compatible with trucks equipped with Rear Park Assist, the BR20 Rear Bumper Replacement features access-friendly steps, heavy-duty D-shackle mounts (not included), factory trailer plug and license plate light provisions, and port access to the spare tire winch. The BR20 is frame mounted for optimal strength and compatible with the factory receiver hitch; plus, it goes on without any drilling required. Go Rhino protects the 28171T with a zinc phosphate–enhanced textured black powdercoat and backs it with a 5-year warranty. Combination of 3/16” and 1/4” high-grade steel. Laser cut and fully welded one-piece construction. Black textured polyester powdercoat plus zinc phosphate. Integrated steps allow easy access to truck bed. Integrated D-shackle mounts (shackles not included). Provisions for license plate lights and factory trailer plug. Port access to spare tire winch. Compatible with Rear Park Assist and factory receiver hitch. Add utility to your truck bed with these aluminum tie downs from Dee Zee. 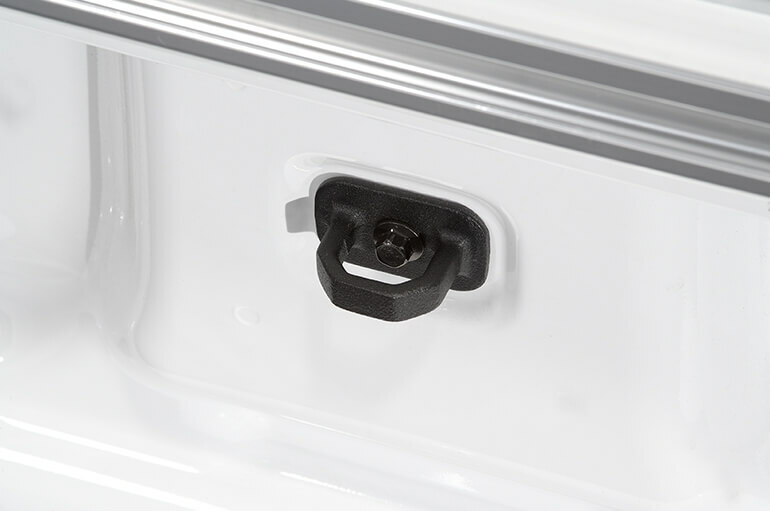 DZ97909 are designed for and rated to the 2015–2016 Ford F-150’s maximum bed strength. Sold in pairs and protected by a black powdercoat, these tie downs go on with no drilling, with all mounting hardware and gaskets included. Dee Zee tie downs are a quick and easy way to add cargo-securing anchor points! Boasting high-power chip-on-board LEDs, the SwitchBlade LED Tailgate Bar from Putco offers brilliant, versatile light output in red, amber, and white. With a universal design created to fit full-size pickups, the 91009-60 features a tinted polycarbonate housing and a IP69K rating, meaning it’s fully sealed and weatherproof. In addition to the obvious features—including running light, brake light, reverse light, and turn signal functionality, the Putco engineering team included some practical touches, such as a four-prong wiring harness for easy trailer hitch hookups and patented attachment clips for quick access to the spare tire release. 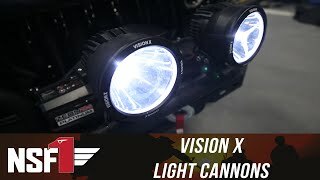 Capable of red, amber, and white light output. Operates with running lights, brake lights, reverse light, and turn signals. Fully encapsulated in tinted polycarbonate housing. Sealed against water and weather. 4-prong wiring harness for receiver hitch hookups. Removes easily for access to spare tire release. Summer can’t get here soon enough! 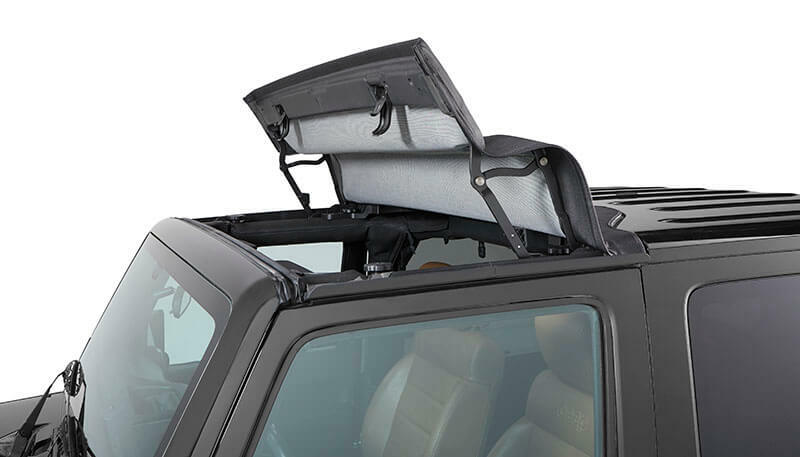 The Sunrider® for Hardtop from Bestop lets in sun and air as an all-purpose, all-weather, all-season replacement for bulky factory Freedom Panels—without ever requiring you to leave the front seat of your Jeep. Made for 2- and 4-door JKs, Sunrider for Hardtop employs a unique frame design that you can fold back for open-air driving or pull forward and latch to your windshield header like original panels—from inside the cab. This first-of-its-kind product goes on quick and easy (30 minutes or less), with no drilling required, and is available in black twill (52450-17) or black diamond sailcloth (52450-35). 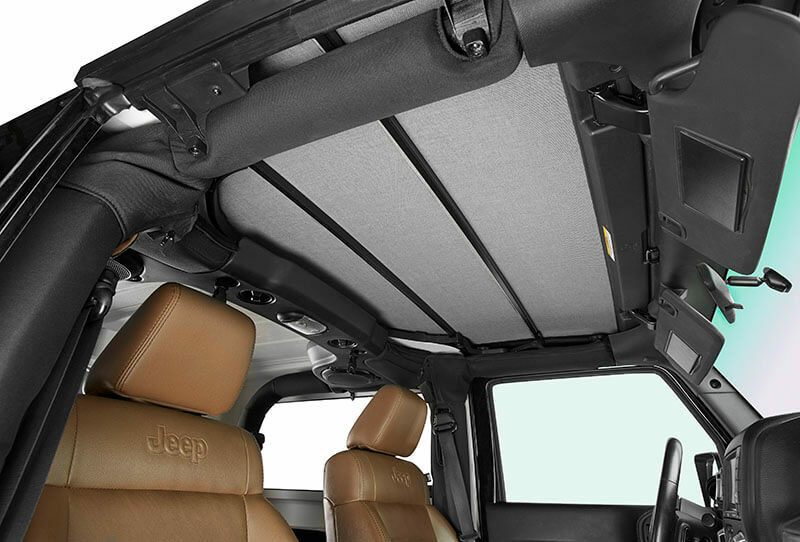 The Sunrider for Hardtop is the reason you said “yes” to driving a Jeep in the first place. Coming from Bestop this spring! Fits ’07–’16 Jeep Wranglers, 2 and 4 door. Folds up or down for on-the-spot changes. Goes on with no drilling in half an hour or less. Available in black twill and black diamond sailcloth.